We are delighted to welcome pre-booked groups to explore Parham and discover our beautiful Elizabethan House, fascinating art collections and award-winning Gardens. Please telephone or email us so that we can check our diary for the date you are proposing. You can download a Group Booking Form here. We are open from 21 April until 13 October on Wednesdays, Thursdays, Fridays, Sundays & Bank Holidays. 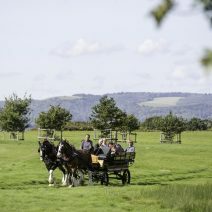 For more information please contact the Estate Office by calling 01903 742 021 or emailing bookings@parhaminsussex.co.uk. Please note that these prices are valid on our standard opening days in 2019. There is a minimum of 20 people per group. 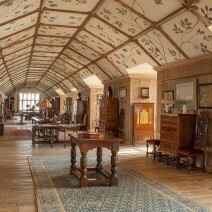 Led by expert Parham Guides, discover a rare and precious collection of paintings, furniture and needlework. Please allow an hour and a half for the tour. 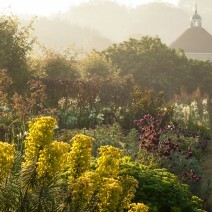 Enjoy the romanticism of the four-acre Walled Garden that celebrates the best traditions of English Walled Gardens. 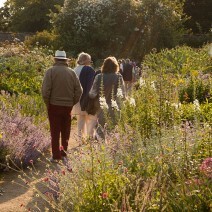 Garden Tours are led by a fully trained Gardening Guide; please allow one hour. Enjoy freshly prepared, locally sourced food and drink, including produce from our own gardens. We recommend groups pre-book their catering requirements, to ensure a swift and efficient service. Take home your very own piece of Parham Gardens, with plants grown by our own Garden Team. In the House Gift Shop you will find many wonderful items including Parham’s own jams and preserves (made from our garden produce), plus an extensive range of gifts including toiletries, baskets, books and postcards. There is ample free parking at Parham with designated parking for coaches and accessible parking within 50 metres of the House entrance. We offer a welcome talk to all groups on the coach upon your arrival, this will familiarise you with the site and provide information about the visit. We welcome everybody to Parham, but must point out that there are some mobility restrictions within the House and Gardens; meaning some visitors may not be able to access all areas. Please click here for more information. Full payment is required no less than 10 days before the date of your group booking in order to secure the discounted rates. We accept payment by BACS, cheque or debit or credit card.